Shunned as an outsider and mistreated due to an undiagnosed learning disability, the young and imaginative Mari-Jen Delene retreats into silence. Around her, the fictional community of Ste. Noire, Cape Breton, hosts a vividly drawn cast of characters: the uncompromising and bitter Mother Superior; the dangerous Uncle Jule; the kind-hearted holocaust survivor Daniel Peter; and Mari-Jen s rebellious and powerfully intelligent brothers, who sleep next to a map of the world they yearn to explore. 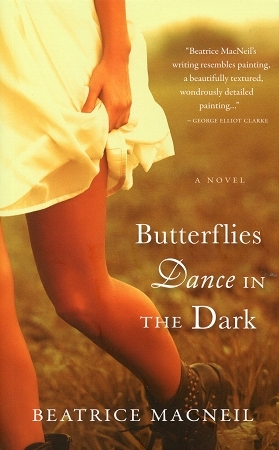 Elegantly written and profoundly touching, Butterflies Dance in the Dark stands as a testament to the vibrant resiliency of youth and the enduring powers of the imagination.